At the MWC 2018 last year, Vivo showcased the APEX concept smartphone with a complete bezel-less smartphone and a pop-up selfie camera. Later, the company launched the Vivo NEX with the design inspired by the Vivo APEX. Vivo recently launched the Vivo NEX 2 with dual displays and no front. Now, the company is all set to unveil the new Vivo APEX 2019 concept smartphone. The company has already posted a few teaser images confirming the date as January 24th in China. 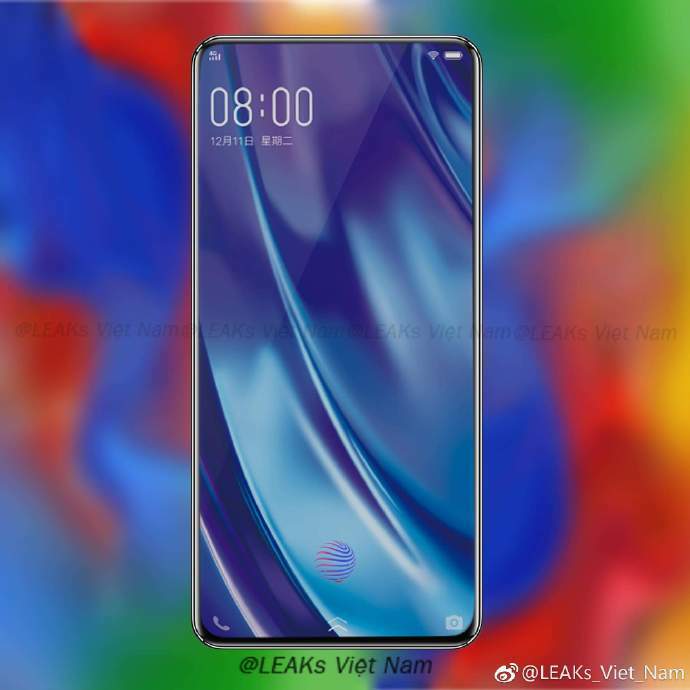 While there are no official renders of the device, the newly leaked images confirm the Vivo APEX 2019 to come with a complete bezel-less display on the front with a very thin chin at the bottom. Just like the NEX 2, the upcoming APEX 2019 might also come with a secondary display on the rear. However, we expect the company to bring some innovative rear design with the Vivo APEX 2019. According to the rumors, the upcoming Vivo APEX is codenamed as Waterdrop. The first-gen Vivo APEX showcased at MWC 2018 has introduced several industry-first features and the upcoming APEX 2019 might follow the same route with a few path-breaking features. Form the leaked renders, we can spot the missing the hardware buttons on the sides. Also, the device will mostly feature an in-display fingerprint sensor with a much larger recognition area. Stay tuned on PhoneRadar for more details!